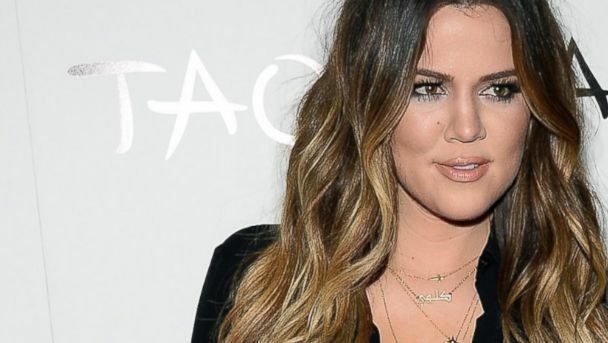 Today Khloe Kardashian fired back at reports that she was secretly selling her Tarzana mansion, a home she has shared with husband Lamar Odom since 2009. "If u want 2make up stories that I'm selling my home at least use images AFTER I renovated it. LOL I can't stand those horrendous old images," she tweeted. But even with her denial, TMZ first reported, there's an actual listing to back it up that a mansion under Odom's name is up for sale for around $4 million. The listing adds that the home is more than 32,000 square feet and has seven bedrooms. A rep for Kardashian, who also denied that the home is for sale, added that the reality star is looking into where the listing came from. The realtor for the property seconded the notion that Kardashian is not selling her home. "I'm not sure why that home is showing for sale," the realtor told ABC News. "It is not. It is a very old listing (2009) and it wasn't mine. I've searched everywhere to see why it is coming up and haven't found an answer." Reports on Odom and Kardashian's marriage have been inconsistent of late amid months of rumors the former NBA star has been using drugs. Recently, the couple was spotted out in public for the first time in several weeks at a Kanye West concert, then Odom spoke with Us Weekly just over a week ago, telling the magazine, "We're wonderful. We're unbreakable," about his marriage.